Any way I was surprised at how many things I have achieved and ecstatic that I have achieved so much before I turn 40. Here is what I have ticked off on my bucket list so far. Now I am updating my list and adding new dreams! I figure that you are never too old to set a new goal so I have added a few more things that I want to achieve. It may just become my 50 before 50 bucket list. How amazing would it be to spend a year or more travelling Australia. I am following lots of families on social media who are currently travelling and it makes me feel like we really can achieve this dream. El Questro Wilderness Park is located in the Kimberley, Western Australia. I want to hitch up the camper trailer and spend a week or more visiting the gorges, waterfalls and everything else it has to offer. I have been telling everyone that my partner Dixie is taking me to Hawaii for my 40th so he better deliver!!! Nothing like putting pressure on the poor bloke. I am not sure what it is about Hawaii but from the time I was a child I have had a strong desire to go there. Dixie and I went to Exmouth when we first met and we decided to not swim with the whale sharks due to our finances. I am kicking myself now, why didn’t I just bite the bullet and spend the money. I don’t regret many things in life but this is one. Mount Augustus is a rock that is about 8 kilometres long and it is the biggest rock in the world. It is actually twice the size of Uluru! The national park is located in the north of Western Australia and it would really be something special to visit. When I was backpacking around the world I fell in love with the spanish language. I would love to take lessons and speak another language. As a child I grew up watching Home and Away and I always loved it when they showed footage of people swimming in the ocean pool. I am a keen swimming so I want to put on the cap and googles and swim a few kilometres. I love everything about the ocean and I have never been on a stand up paddle board. Everyone looks so relaxed when they are on a board and out on the water. I can see myself now paddling on the water as the sun goes down. I tried scuba diving when I was in Bali but I could not get my ears to equalise. I was in a group and everyone had already descended and they were just waiting on me. I felt like I was holding everyone up so I returned to the surface. I would really like to give it another try and hopefully I will have a better experience. Don’t be afraid to dream big as you can make it happen. I am shy country girl and when I told everyone that I was going backpacking around the world on my own they all said you will be back in a few months. I surprised them all, took the bull by the horns and explored the world. Do you have a bucket list? Please share some of your dreams with me as I would love to hear about them. Love your bucket list – both the completed list and the to do list. Very inspirational! That is a wonderful thing to do and I am sure it will bring back lots of memories putting it all together. I hope I get to Hawaii too, hopefully some company is reading this and they want to sponsor me on a trip!!! A girl can dream. What an epic list, so many inspiring thing. Mount Augustus sounds wonderful. I would love to do the Munda Biddi, see the horizontal falls and ride in a mtb cross country race. Thanks for sharing your list! Horizontal falls looks amazing. I think I need to create a WA bucket list and then one for every other state. A great list. 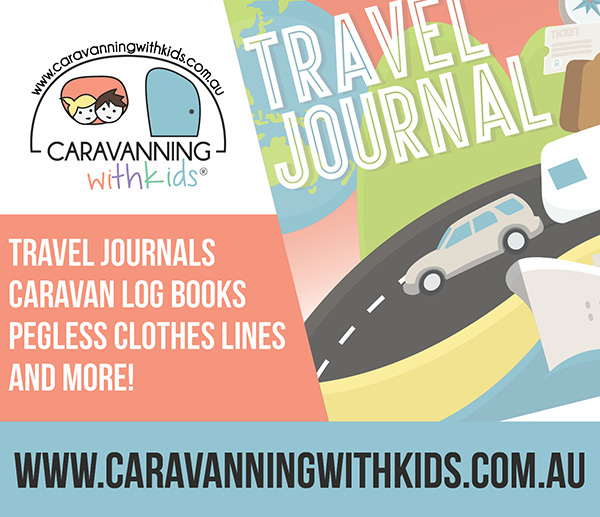 We’ve met so many families travelling around Australia. It is the best education that kids can have. A family we met in Pemberton said they visit the info centre in each town and ask what tours are available. Most tours are cheap and in his words “the kids just soak it up”. That is a great idea to do tours in each place as you learn so much more about the history of a town. Yes and thanks to that family we toured the local timber mill which was fascinating. Your list is awesome! I love having something to strive for, makes working each day a little more bearable. I agree it is great to have something to work towards. What a great list and you’ve had so many amazing experiences already. I have never written a bucket list, but maybe I should start one now. 60 before 60 perhaps? Never too old to dream a new dream! Wow not long before a big celebration! It is great to look back and remember some of the things I have achieved. I hope to live every day to the fullest. Wow! You have had some awesome adventures! I love making a dream list, and to travel around Australia would be brilliant! It is great to have things to look forward too. I hope you can tick of the things on your dream list. I’m definitely getting there! Thanks Anne!! Wow! Incredible feat Anne. I sometimes wish I had started travelling a lot earlier so that I can tick off more items off my bucket list. I have done the around Australia trip, been to El Questro, swam with the whale sharks at Exmouth, walked part of the Bibbulmun Track, holidayed in Hawaii and tried stand up paddle boarding several times. My next item is travelling to Italy in 2017. Can’t wait! That whale sharks must have been amazing! Think I need to wait until my children are a bit older before I do that one so we can take them with us. Thank you, fingers crossed I can do them. It is all about seizing the day! I am sure you have already achieved lots of things in life. I hope you get to do all your travel. That’s an awesome list and an amazing achievement! I had a 30 by 30 where I completed 27. I’m in the process of a 35 by 35 list which I haven’t gone too far with but should get going as I turn 35 in 2019. That is great that you had it all completed with a few years to spare! I still have lots of other goals some big and some small. Enjoy your cruise. I have never done a cruise but inspected plenty of cruise ships while I was working in the travel industry. I am sure you will have a great time. WOW!!!!!!! This is so cool, My almost 40 bucket list was much much smaller than this. Now my life is just one big bucket list. Dream then Do is my motto right now. In fact “Do” is going to be my word for 2017. I’ve been wondering what it will be … DO … thanks for helping me out with that one! Some of your new goals are so great. I would love to go to El Questro too. Your photo jumping out of the plane is brilliant! El Questro looks awesome, I hope you get there. Fabulous list!!!! Make sure you go to Big Island and snorkel with the Manta Rays (night) and the volcano. Both FAB! Snorkeling with Manta Rays sounds like something I would love. Adding it to the list! That’s quite a list! You are going to love Hawaii – it’s awesome! I am coming to the end of my 101 things to do in 1001 days, but as soon as this list “expires” I’m going to start a new one because everybody needs a purpose! That is a great idea. I might need to do one of those lists as well as I have so many other things I want to achieve.